Flying. 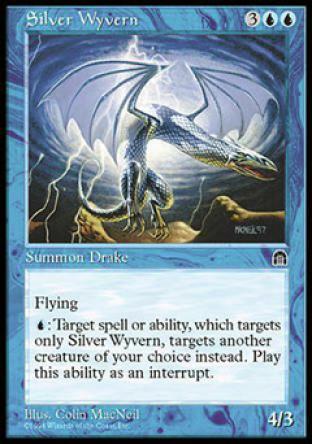 : Target spell or ability, which targets only Silver Wyvern, targets another creature of your choice instead. Play this ability as an interrupt.